Garuda lamp is a lamp crafted with a touch of ethnic grandeur and classic elegance. Garuda is the vahana (mount) of Lord Vishnu. 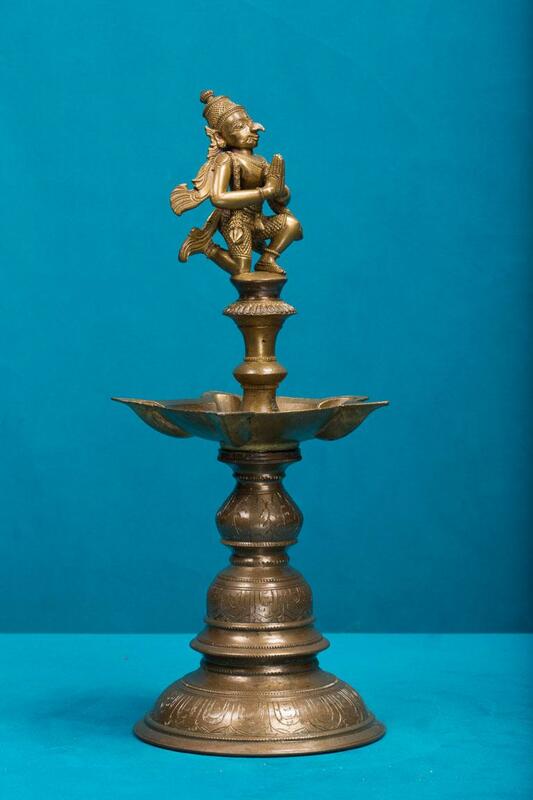 Here Garuda is depicted in a semi-human form, with a sharp beak-like nose, and large out-stretched wings and is seen standing on the top of the lamp in the anjali pose. Another notable feature of this six-wick lamp is its lotus carved pedestal.